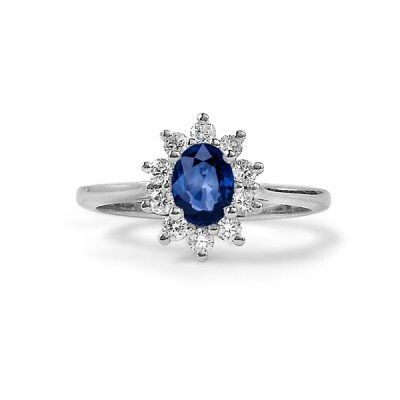 The claws around the diamonds of this vintage-inspired sapphire engagement ring create a star effect around the oval blue sapphire feature gemstone. We've made a few rings like this. You can see some additional pictures in white gold/platinum with a diamond as the centre stone and in yellow gold with a diamond as the centre stone. 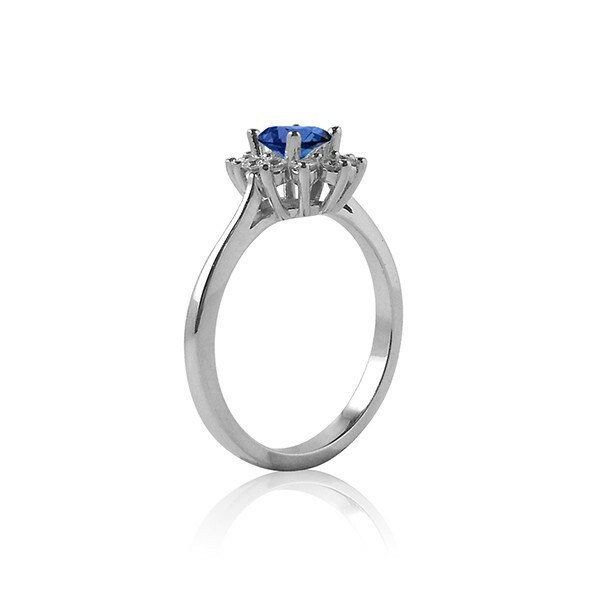 We design and handmake all of our rings, so if you'd like us to customize one for you, please be in touch!